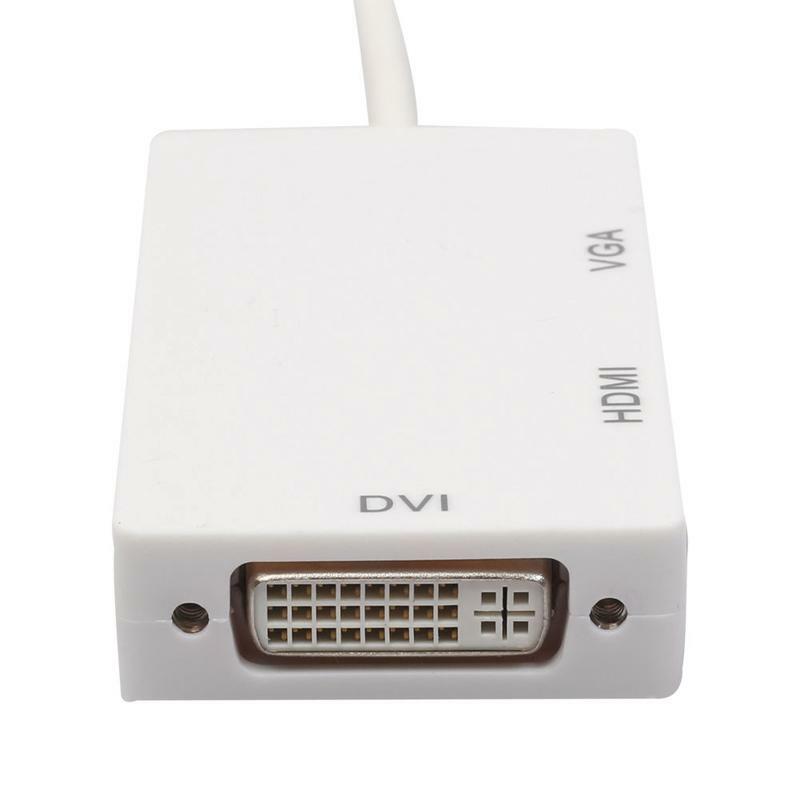 DisplayPort to HDMI/DVI/VGA adapter is an indispensable companion for your laptop or desktop equipped with DisplayPort. 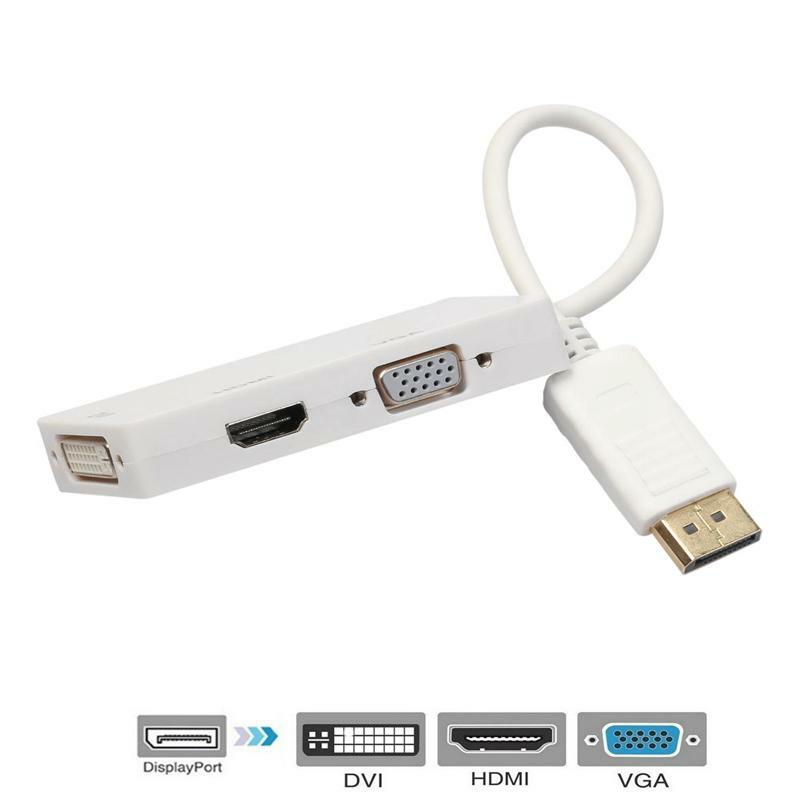 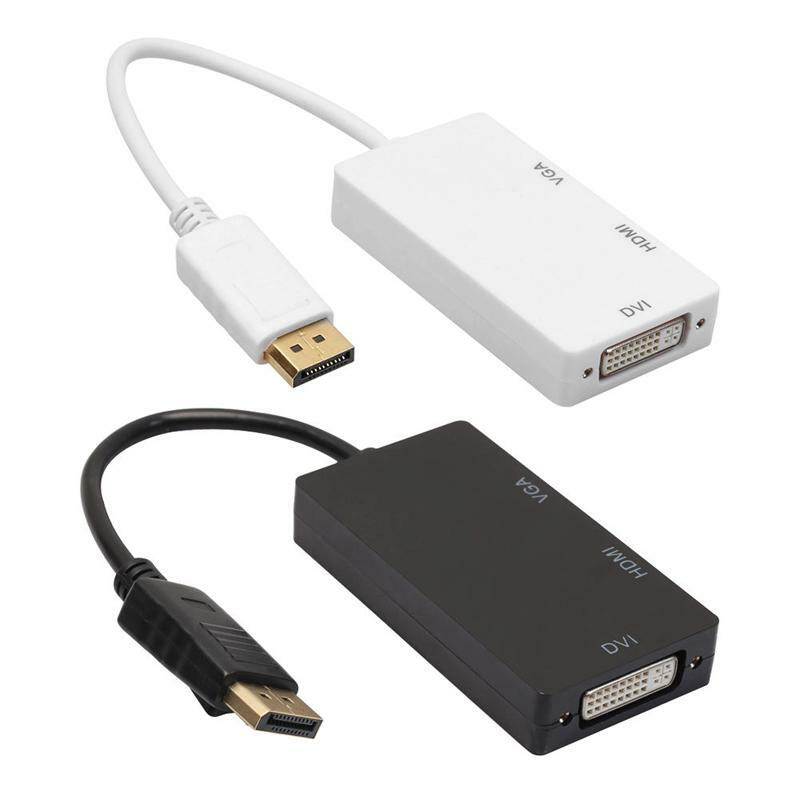 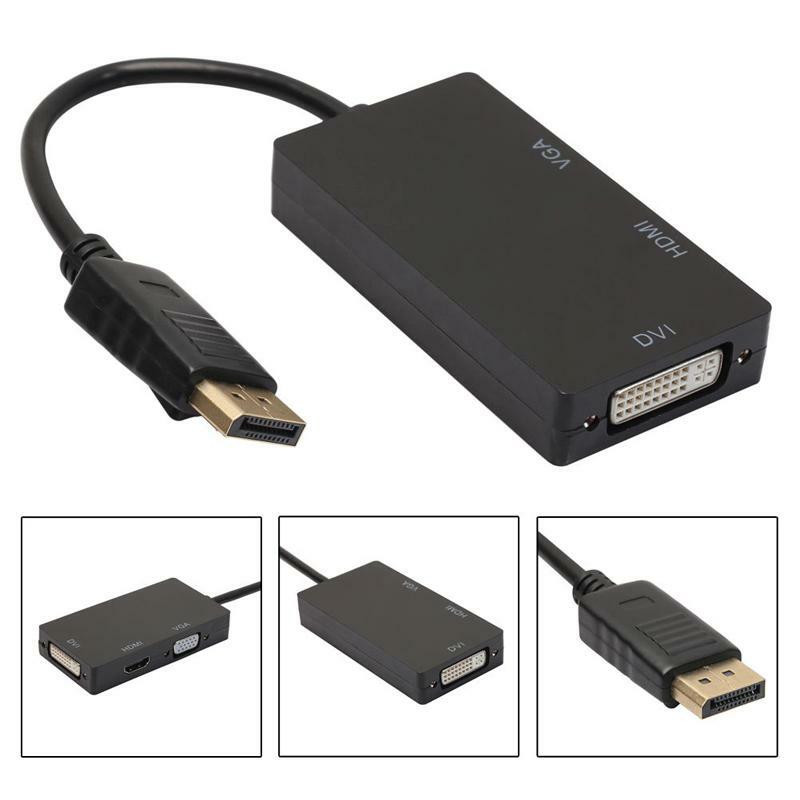 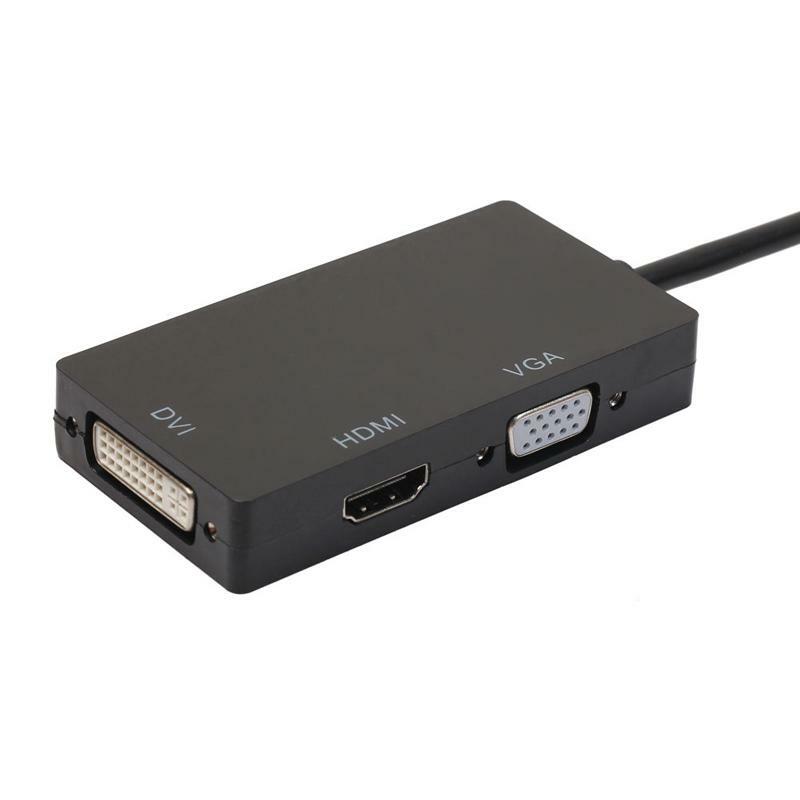 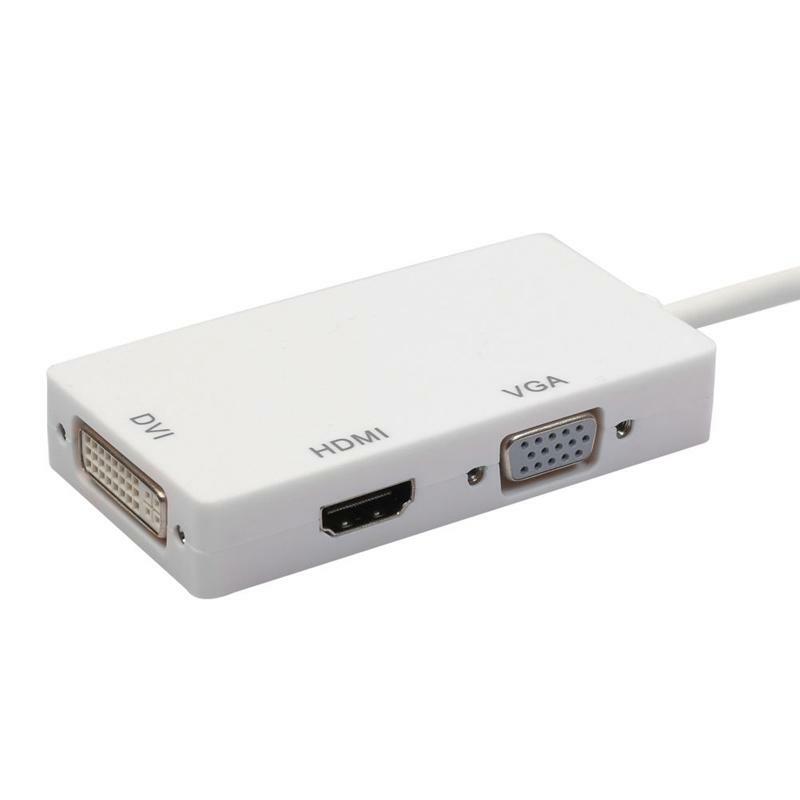 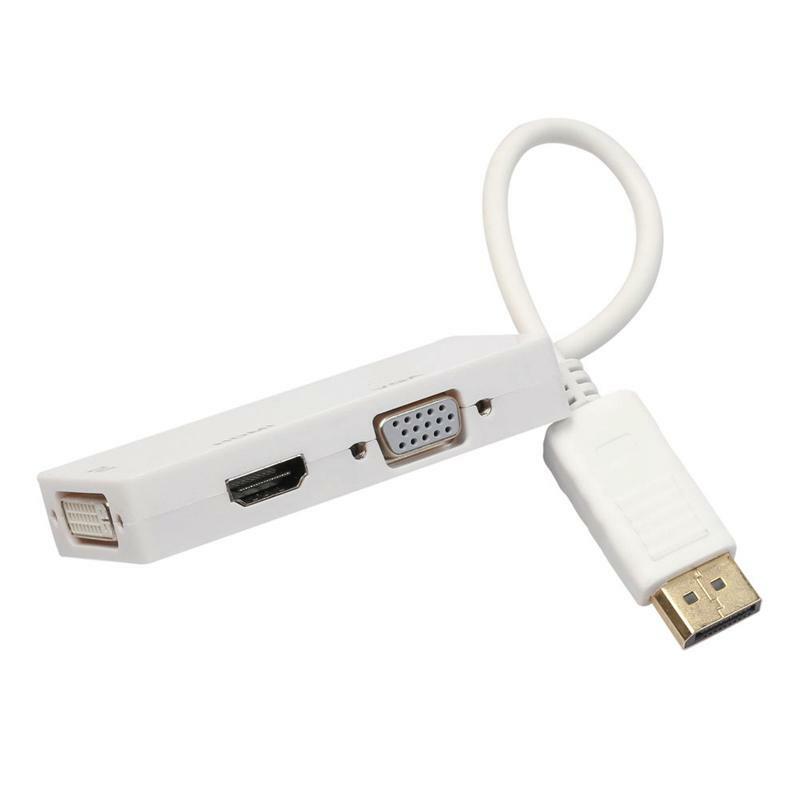 Connect your computer to an HDTV for high-definition video (1920x 1080p) and audio streaming or to an HD monitor/projector with this portable and versatile adapter and an HDMI/DVI/VGA cable (sold separately). 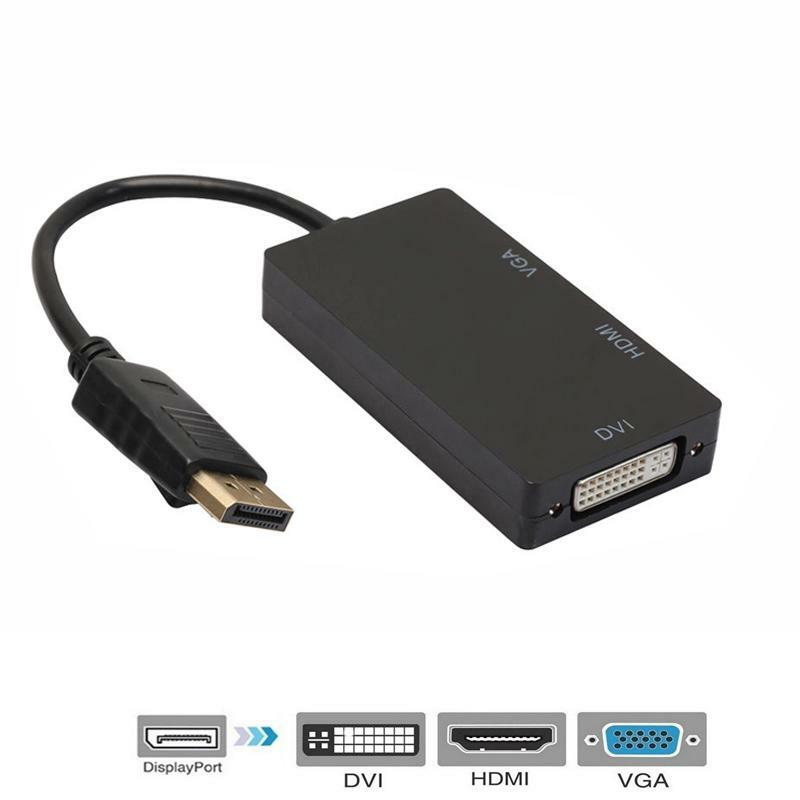 Use this adapter to enjoy movies on the big HDTV, mirror or extend your desktop for an expanded workstation or show presentations at school or work. 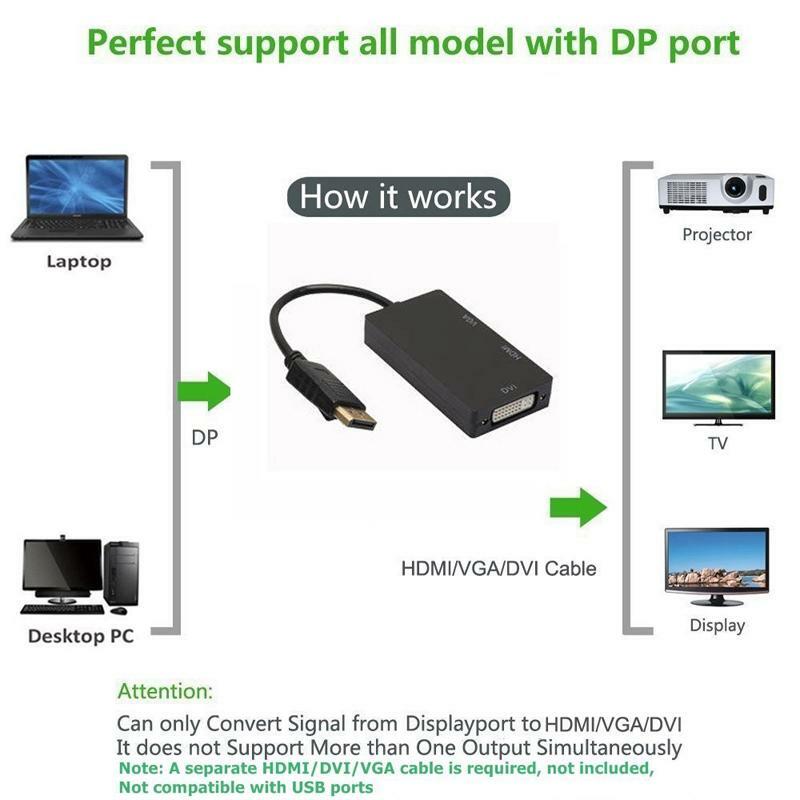 It does not support more than one output simultaneously. 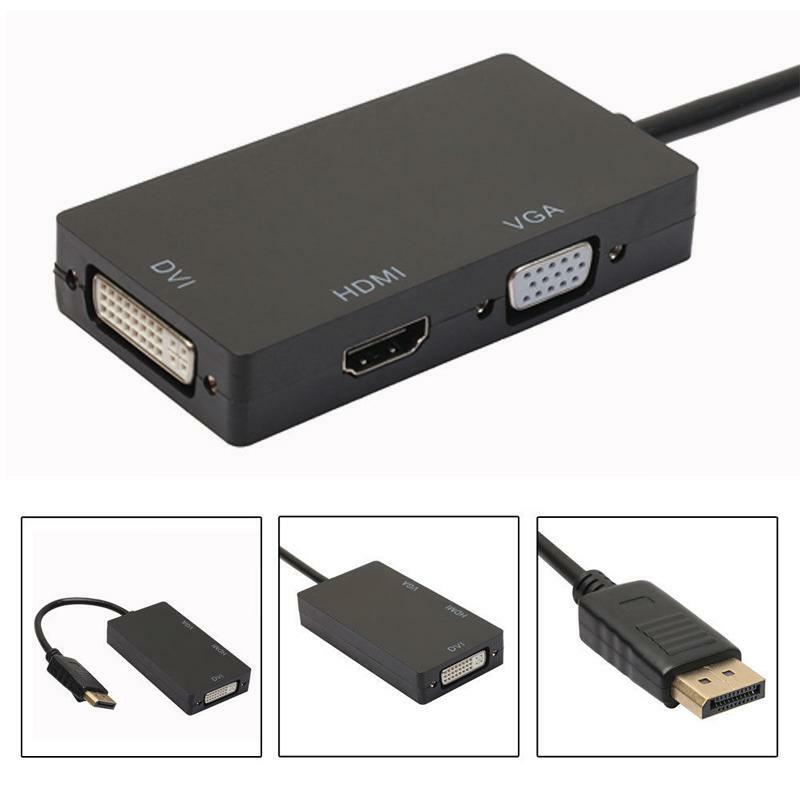 No audio output from VGA and DVI. 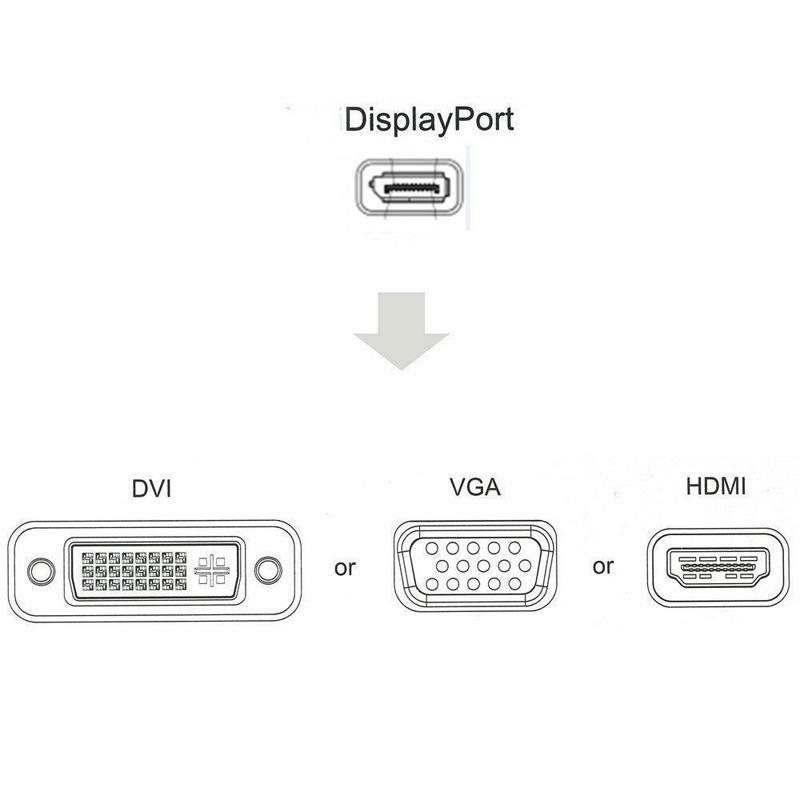 Depress the button on the DisplayPort connector to release the latches and avoid damage when unplugging. 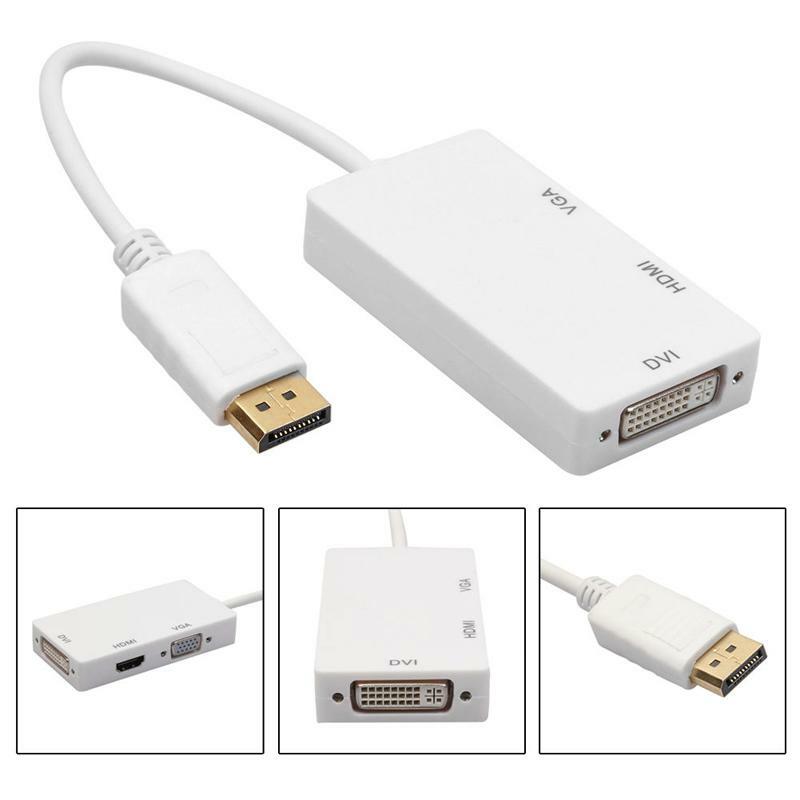 This adapter is NOT compatible with USB port on your computer. 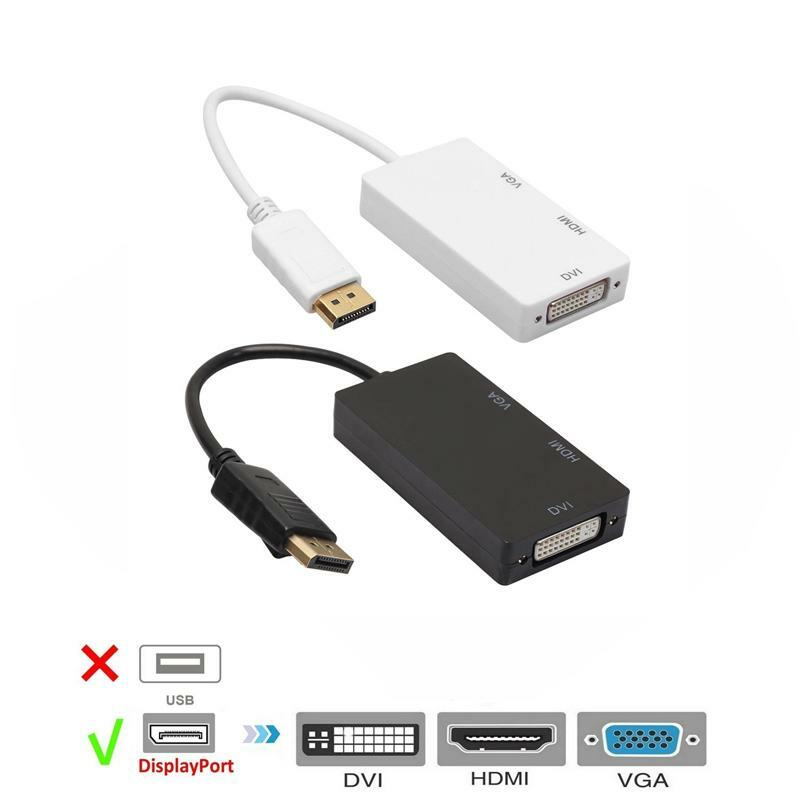 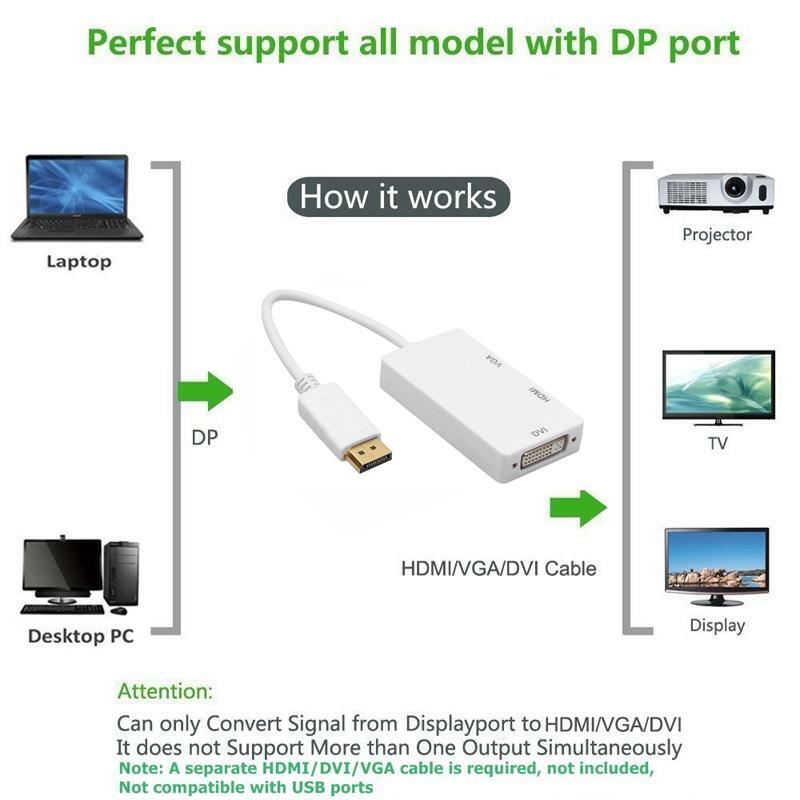 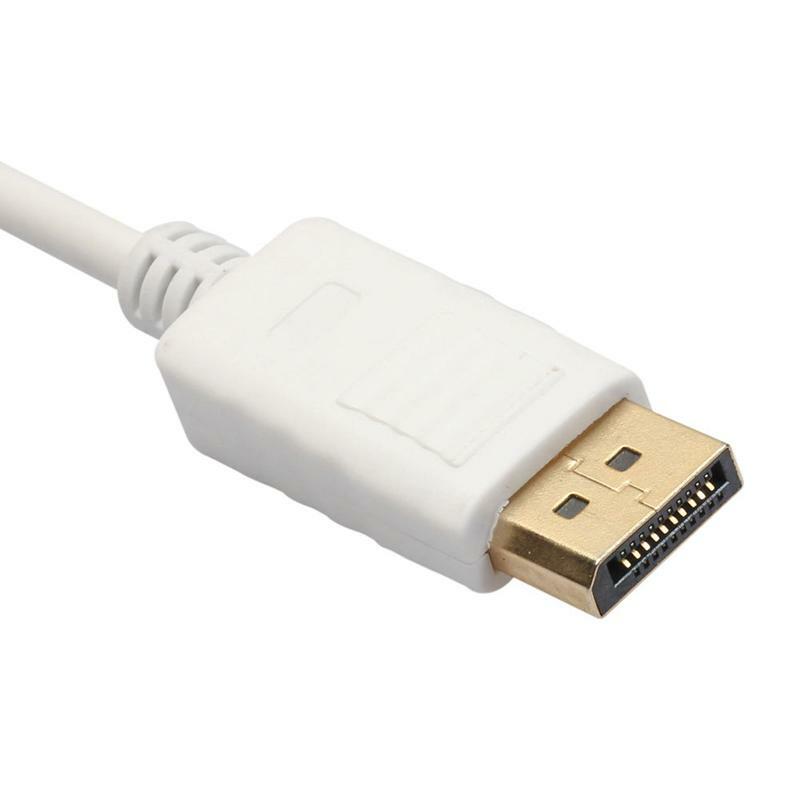 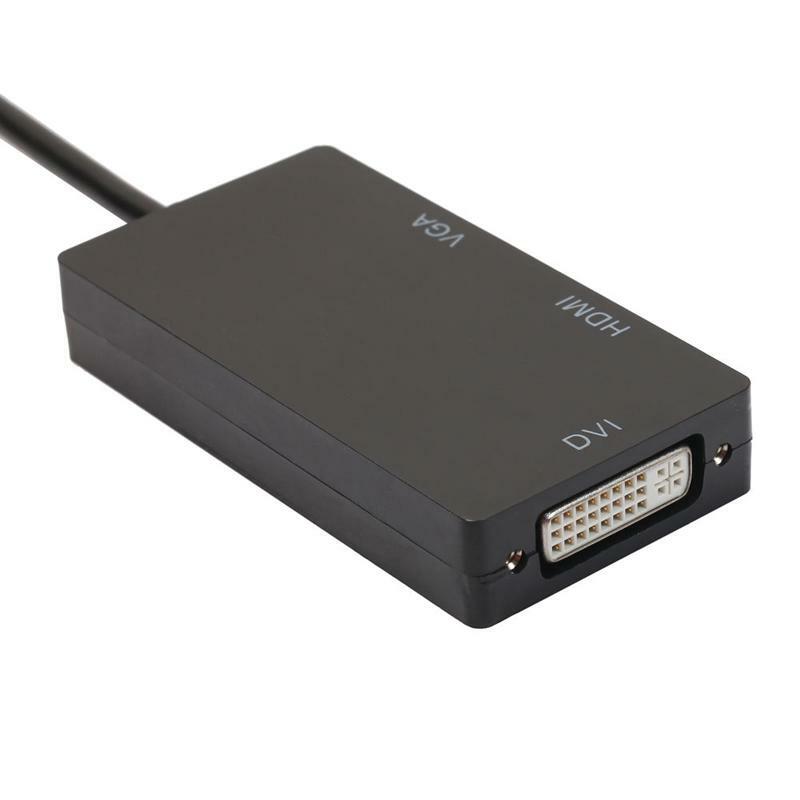 1 x Displayport Dp to Hdmi/dvi/vga Male to Female 3-in-1 Adapter Converter Cable.